Larry Kramer. Image by Salon. It is hard to fathom the rising AIDS death toll during the 1980s. The disease was virtually unheard of at the start of the decade, but by 1986 more New Yorkers were dying from AIDS than murder, with annual deaths reaching 8,000 by the early 1990s. The Koch administration response was incomplete (focusing on prostitution and bath houses), President Reagan was indifferent, and Cardinal O’Connor was hostile, blasting homosexuality and condom use. The gay community needed to organize. The Gay Men’s Health Crisis had been founded by Kramer and other gay activists in 1981 to raise awareness about AIDS and create a support network. The organization has been very successful, and remains an important part of the community to this day, but it could not slow the escalating deaths. On March 10, 1987, Kramer had been asked to fill in at the last minute for Nora Ephron at a packed LGBT event. He delivered what Kat Long called “one of the most moving and impassioned speeches of the AIDS era.” Kramer told the room that if they didn’t start fighting back, many would be dead in five years. The time had come for confrontational activism to convey the state of emergency in the gay community. The AIDS Coalition To Unleash Power was born. Their first major action took place only two weeks later at the New York Stock Exchange, where hundreds of protesters denounced Burroughs Welcome, who marketed an extremely expensive AIDS drug with limited long-term effectiveness. Today the HIV/AIDS crisis remains far from solved – in 2012, it took the lives of 1,578 New Yorkers. While ACT UP in the 80s was mostly associated with gay white males, the those diagnosed today are 50% black, one-third female, and increasingly from the Bronx and Brooklyn. 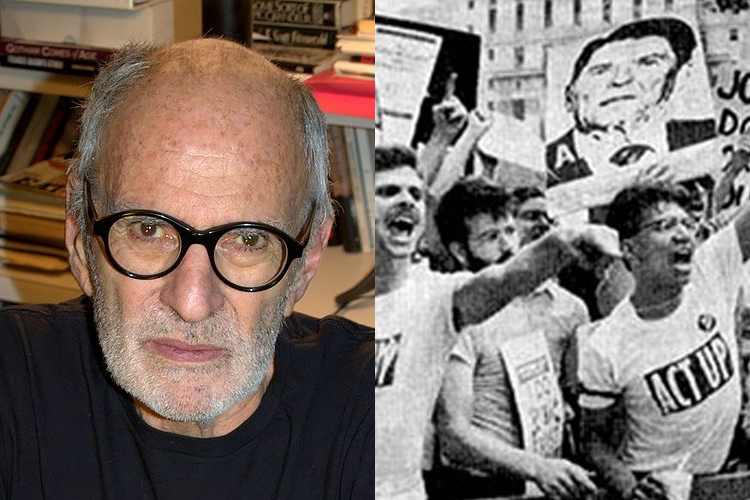 Even if the fight against AIDS remains, our societal attitude has come a long way since 1987, and we owe a great amount of thanks to Larry Kramer and ACT UP.